Constitution Day, also known as Samvidhan Divas, is celebrated in India on 26th November every year to commemorate the adoption of Constitution of India. Did You Know? 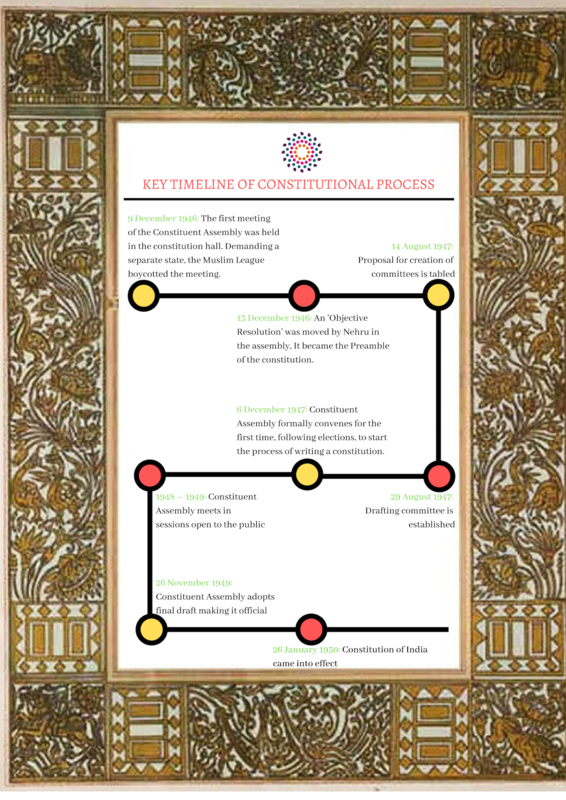 With 25 parts containing 449 articles and 12 schedules, the Indian Constitution is the longest written Constitution of any sovereign country in the world. And it took 2 years, 11 months, 17 days to finish the final draft of Constitution.